Hyundai's lifestyle pickup has hit more than its fair share of speed bumps on its way to production. If you are pining for a production version of Hyundai's stylish Santa Cruz Concept pickup, you're going to be waiting at least a couple more years, confirmed a Hyundai executive. Revealed at the 2015 Detroit Auto Show, the Tucson-based unibody pickup truck has seen delay after delay hinder its transition from concept to production. 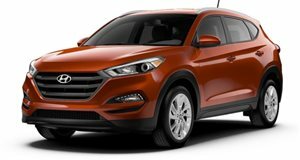 As Hyundai Motor America experienced an executive shake up, the Santa Cruz withered. Now it's again making progress, but it won't arrive this year or next. “We love it,” said Brian Smith, chief operating officer of Hyundai Motor America, in . “We talk about it a lot.” When the truck does come to fruition, it may look wildly different than the concept and find motivation from an engine other than the diesel promised at the Detroit show three years ago. “We have a lot of product development going on,” said Smith. “We need to prioritize.” It might also get a different name. Hyundai recently trademarked the , and names for future use. The Hyundai pickup will ride atop a unibody SUV platform, much like the Honda Ridgeline. However, the Santa Cruz Concept was smaller than the Ridgeline, finding its basis in a compact SUV chassis while the Ridgeline is based on the midsize Pilot. That could give the Santa Cruz an edge when it comes to finding buyers looking for a vehicle with a smaller footprint, though smaller vehicles haven't garnered much interest from American buyers as of late. Even the Ridgeline isn't setting the sales charts alight. Motor Trend noted the Honda pickup has seen a 30-percent decline in sales so far this year. It also pointed out other similar unibody pickups—such as the Subaru Baja—met quick fates in the United States in the past. The old trope is well-worn, but it’s too apt to omit here: this isn’t your dad’s Hyundai.